B160-160 Unit Wall Board. 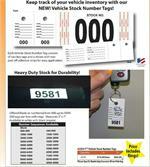 Content: 1 Master Key, 35 Access Keys, 250 Key Holders, 160-Versa-Tags (ID) Tags, and Operating Manual. 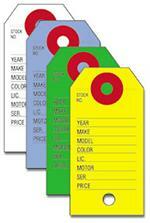 Use Consecu-Tags In Your Sales Department. 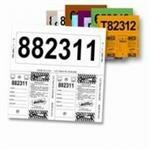 Each Consecu-Tag Makes: A Clear Plastic-Backed Window Stock Sticker And Two Self-Protecting Key Tags. Information Boxes On Window Sticker!